Monticello, NY - Almost six months to the day after construction first began on its all new garage and dispatch center, Catskills Hatzalah celebrated Thursday the opening of its new facility with a gala ceremony attended by county legislators, town supervisors and local officials. The new facility, located on Brickman Road in South Fallsburg is home to a state of the art dispatch center and features three ambulance bays as well as heated driveways, a necessity as the number of residents who live upstate throughout the year continues to rise annually. Until now, getting an ambulance out during the winter has been no small task as the ambulances were kept outside and volunteers have had to clear snow and ice off the vehicles, a time consuming task that took place in situations where delays could literally mean the difference between life and death. One Hatzalah member described an incident that took place approximately three years ago during the winter months. Construction for the building which is approximately 6,000 square feet in size, began on December 19th, and the facility is named in memory of the main donors, Pearl and Herman Altman. This winter’s warm weather and lack of snow contributed to the speedy completion of the facility will serve as a garage, a dispatch center and a crisis center. 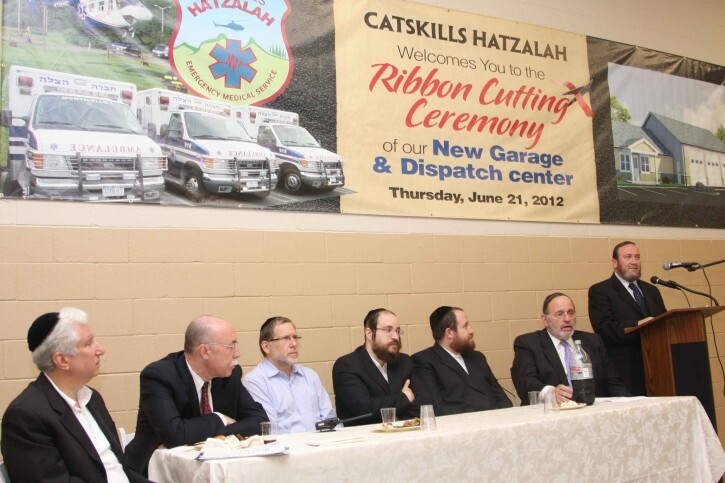 Catskills Hatzalah has thirteen vehicles located upstate during the summer season and those ambulances are spread out throughout the area in order to provide the best response to residents. Just two of those ambulances remain in the Catskills during the winter months. 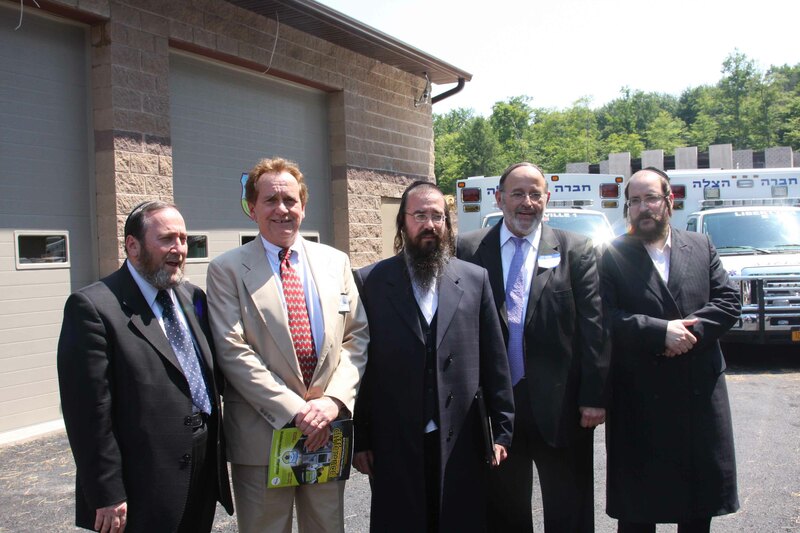 Mazel Tov to Hatzolah upon this new & beautiful building!! As the Catskill area is becoming more & more populated KH' throughout the year this building is a pure necessity to the Klal and "not" an extra luxury. And we ought to give credit to "Yehuda Feig & Berni Gips" (the 2 Catskill Hatzolah coordinators) for making it happen with massive success!! Lets hope the buses will remain in the garage and not be needed! !